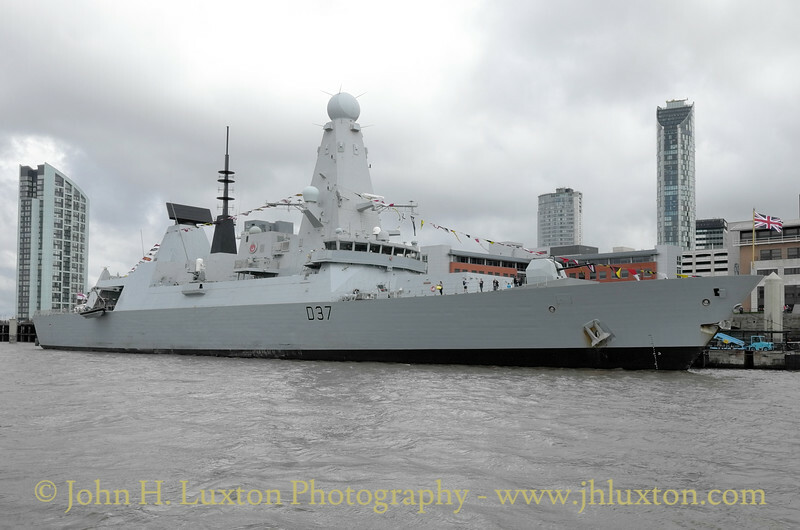 HMS Duncan is the sixth and last of the Type 45 or Daring-class air-defence destroyers built for the Royal Navy. 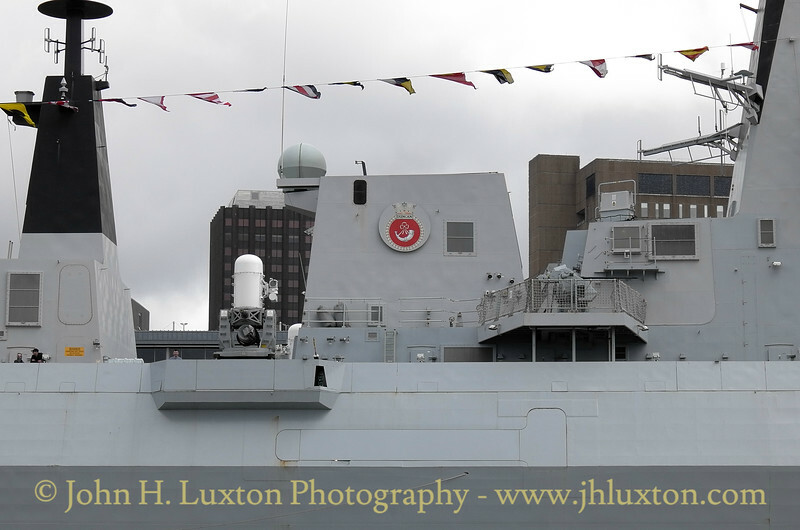 Duncan is named after Admiral Duncan, Viscount Duncan of Camperdown (1 July 1731 – 4 August 1804), who defeated the Dutch fleet at the Battle of Camperdown on 11 October 1797. 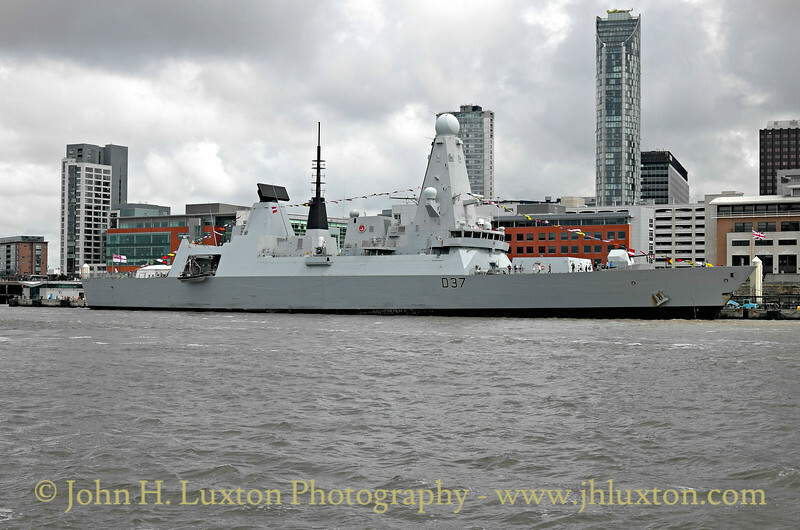 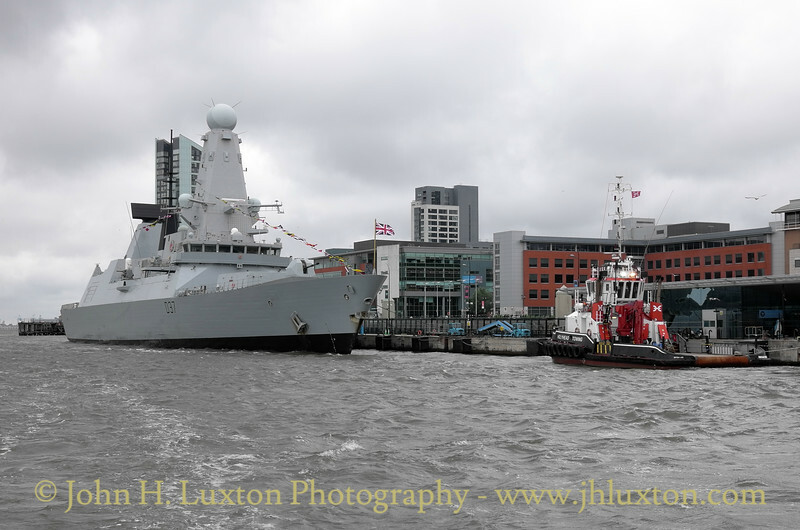 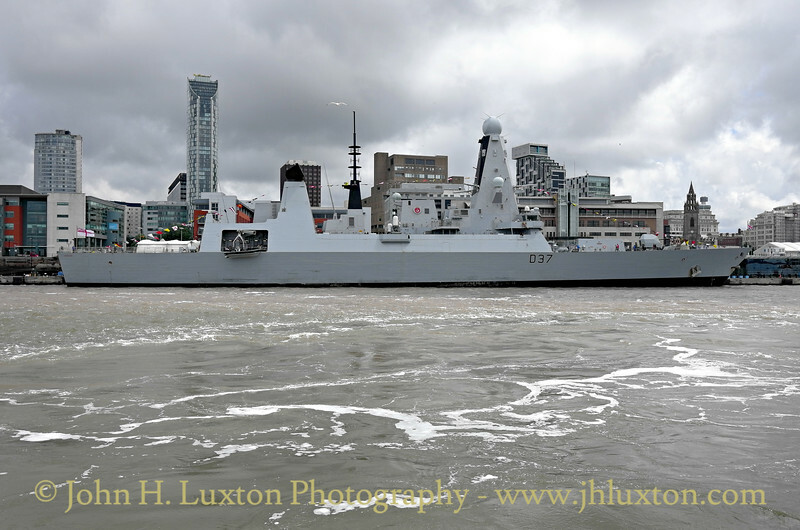 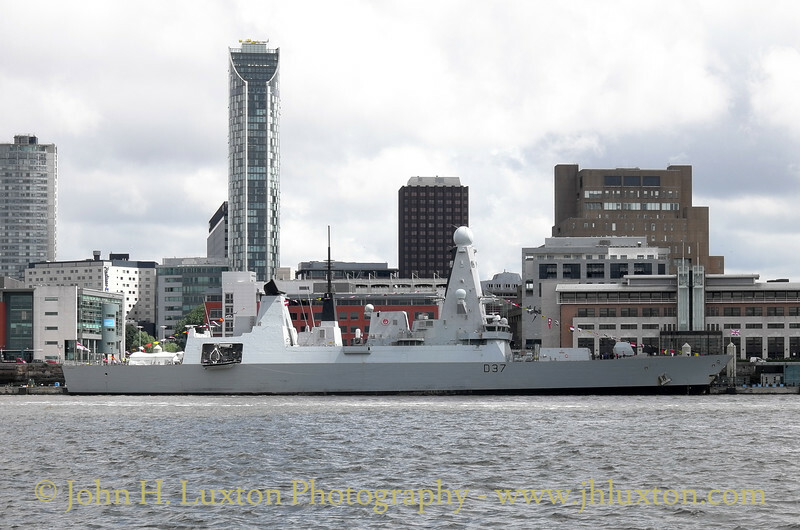 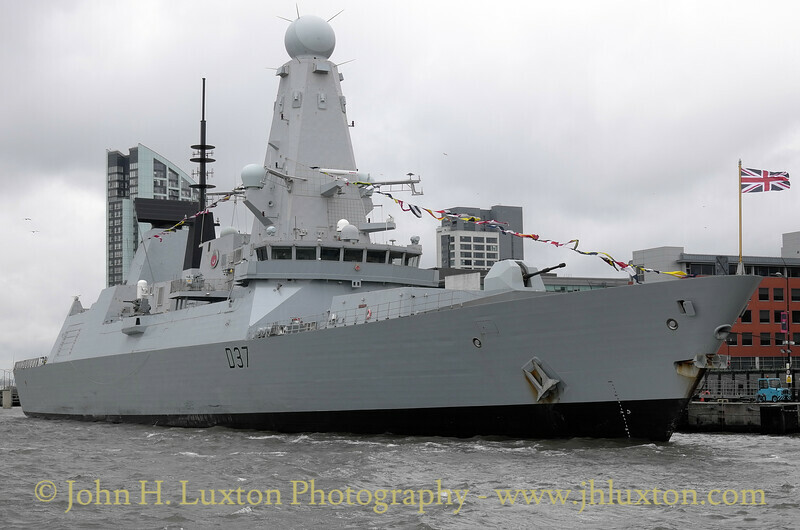 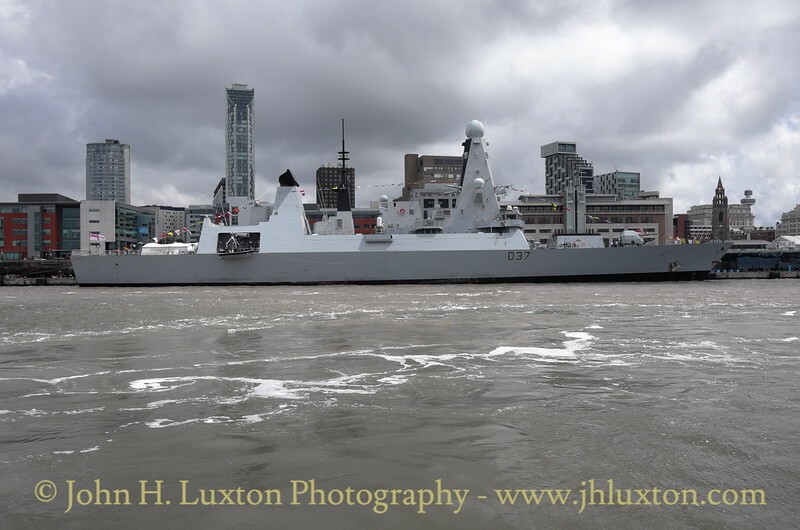 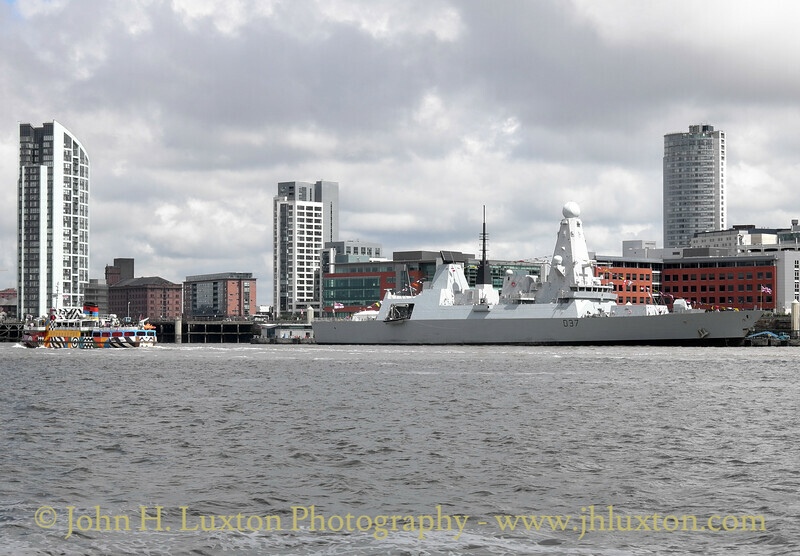 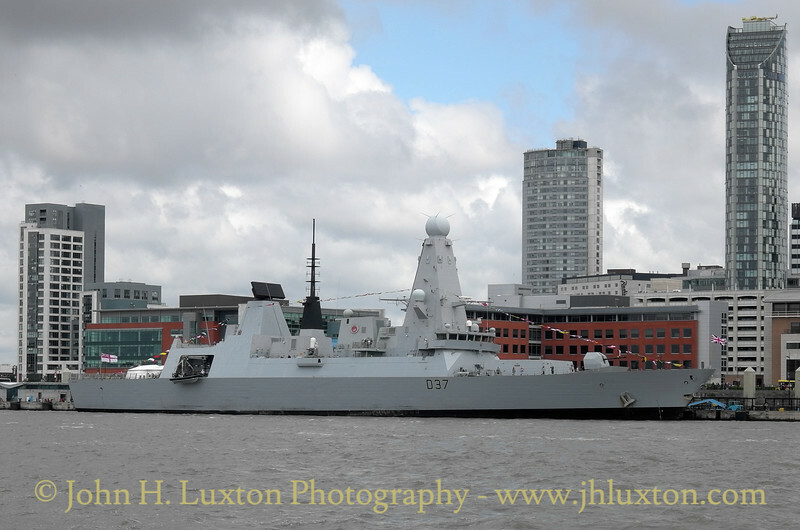 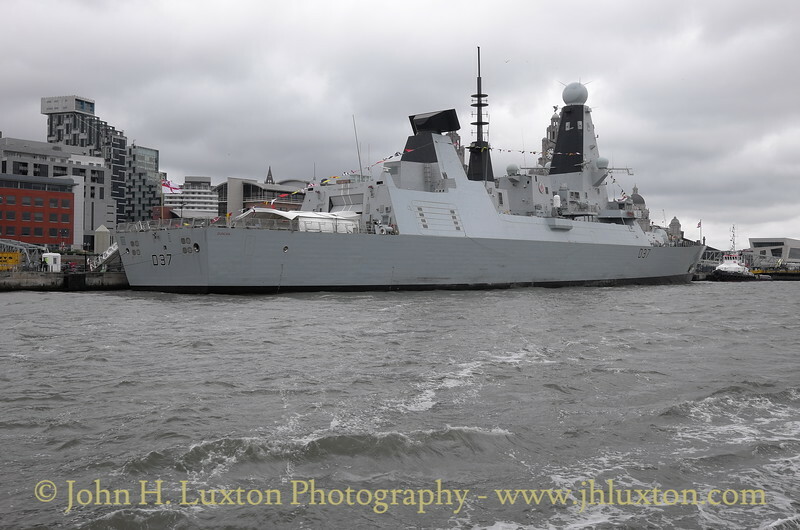 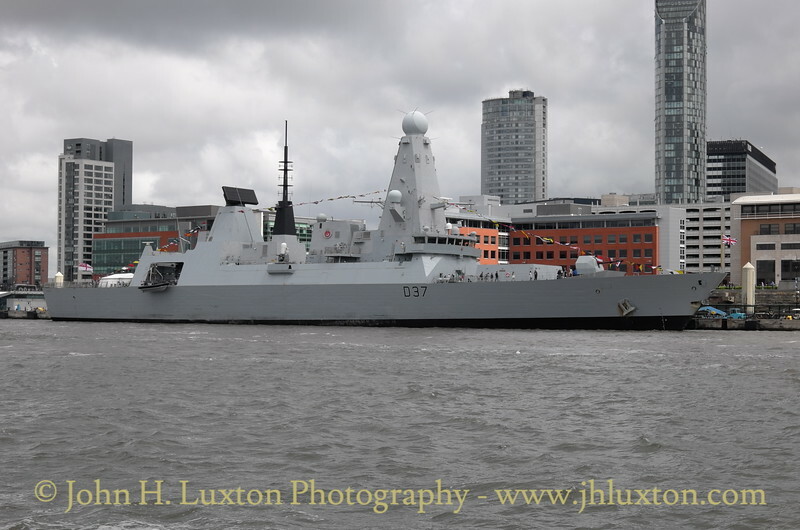 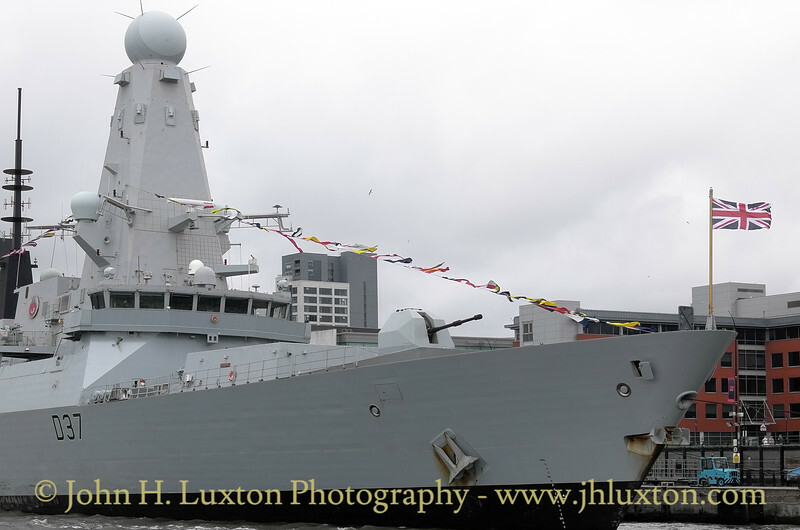 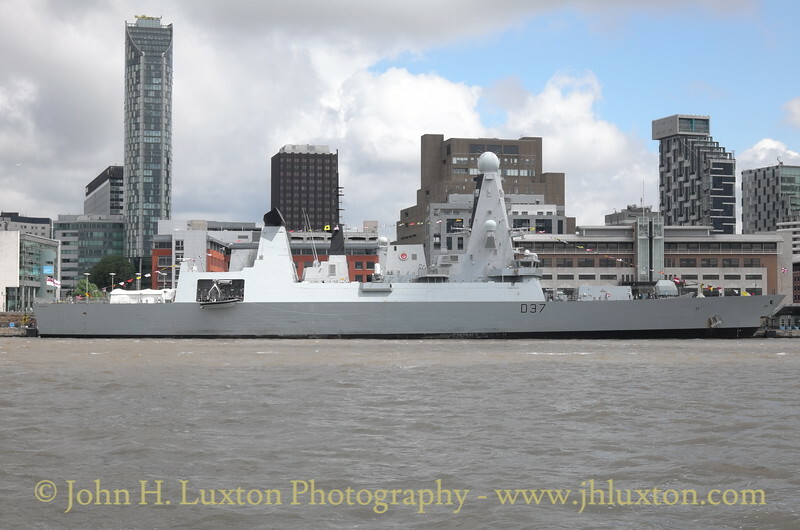 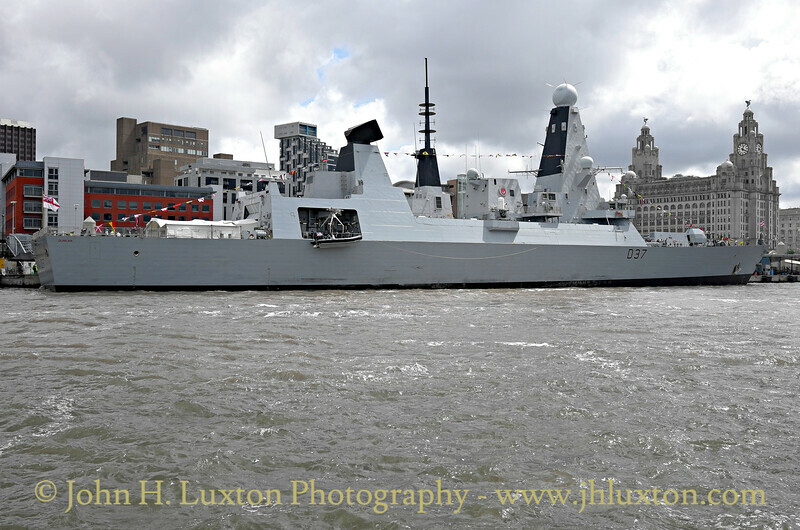 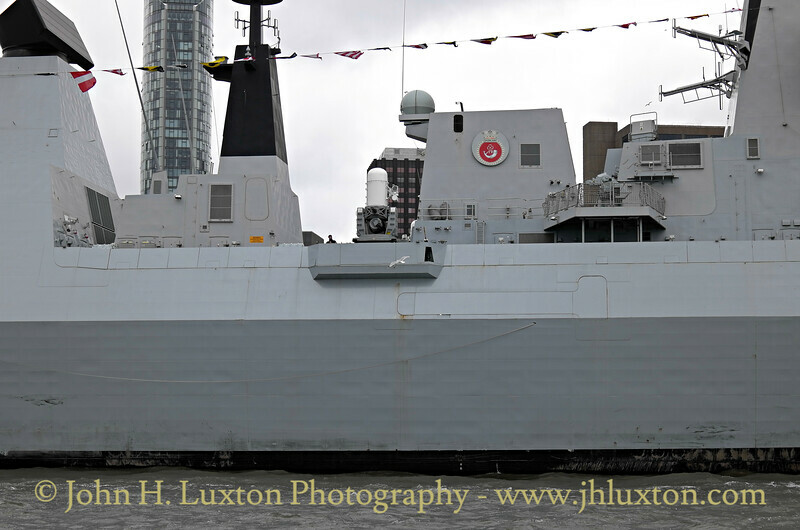 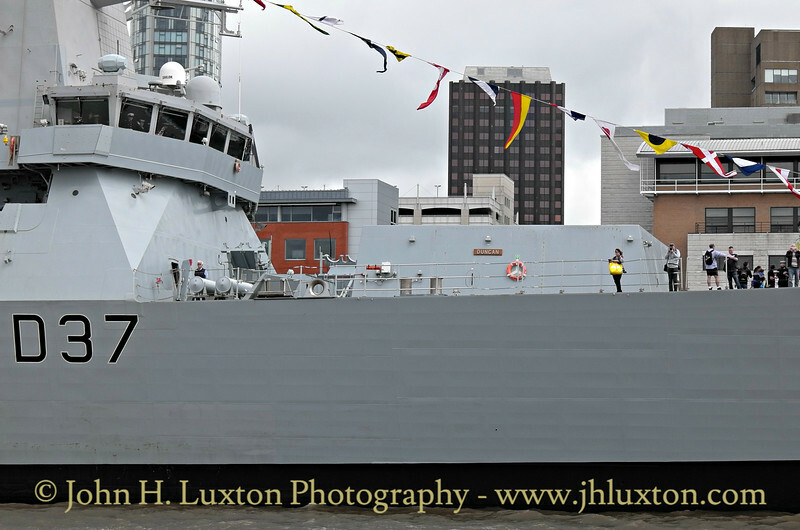 Royal Navy Type 45 destroyer HMS DUNCAN seen at Liverpool Cruise Terminal on a weekend visit to Merseyside to mark Armed Forces Day 2016.